The poster is going up around town! 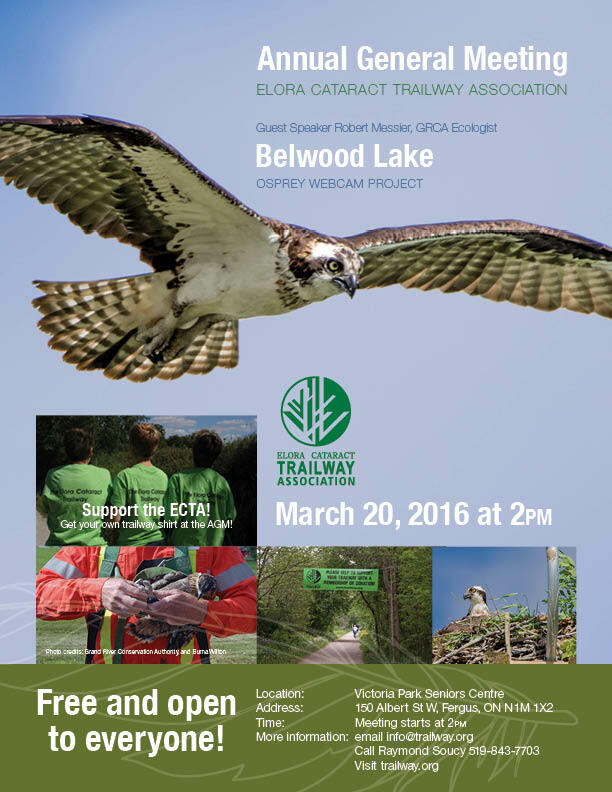 We’re looking forward to hearing Robert Messier, GRCA Ecologist, talk about Belwood Lake Osprey Webcam Project. 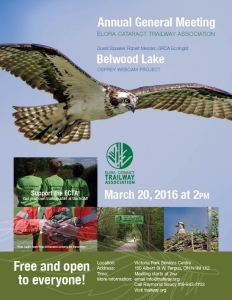 We hope you can join us on March 20, 2016! ECTA AGM 2016 poster, designed by Melanie Gardiner, Magnesium Studio. The section of the trailway over the Shand dam will be closed tomorrow for crews to work on maintenance.